Rapid Twin Shaft Concrete Mixer Produces Concrete for Oil Refinery Project, Saudi Arabia. The twin shaft concrete mixer, manufactured by Rapid International Ltd has been installed by distributors, Al-Kifah, to produce 1,560m3 of concrete for one of the most important oil refinery projects in the Eastern Province of Saudi Arabia. The Rapid twin shaft was chosen over competitor models due to its unique bearing design and the durable inner wear chamber that is not currently available in other models. The installation at the batching plant in Jubail has greatly increased production of concrete and the distributors, Al-Kifah are more than confident that the quality of the concrete produced will meet the high standards required by their customer. Al-Kifah, have also installed the mixer washout system, the Rapid Jetwash RJW2 two-pump model to accompany the twin shaft. This model is ideal for the twin shaft mixer. The box shape of the mixer means that two jet heads are able to reach all points within the mixer. This high pressured mixer washout system reduces the washing time from an average 45 minutes to a 4 minute cycle or 8 minute double cycle. The system reduces safety risk of staff inside the mixer and regular cleaning and maintenance of the machine will certainly increase its lifespan. Al-Kifah has been distributing Rapid products for over 15 years and was delighted when it was able to add the new twin-shaft concrete mixer to their current range of Rapid products. 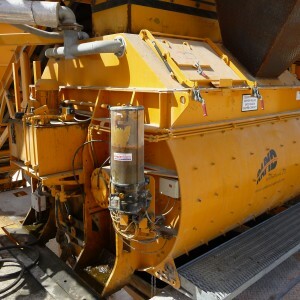 The company itself is a well-established and reputable batching plant manufacturer with contractors all over the Middle East. They have always ensured that the mixers they install into customers plants are of high quality and Rapid International’s products are always able to meet this specification. The twin shaft concrete mixer has become a popular choice with many contractors across the Middle East with its faster mix times. Also, with its compact design, it fits easily into mobile plants or reduces space on mixer platform. Based in Northern Ireland, Rapid International has recently celebrated 40 years in business. 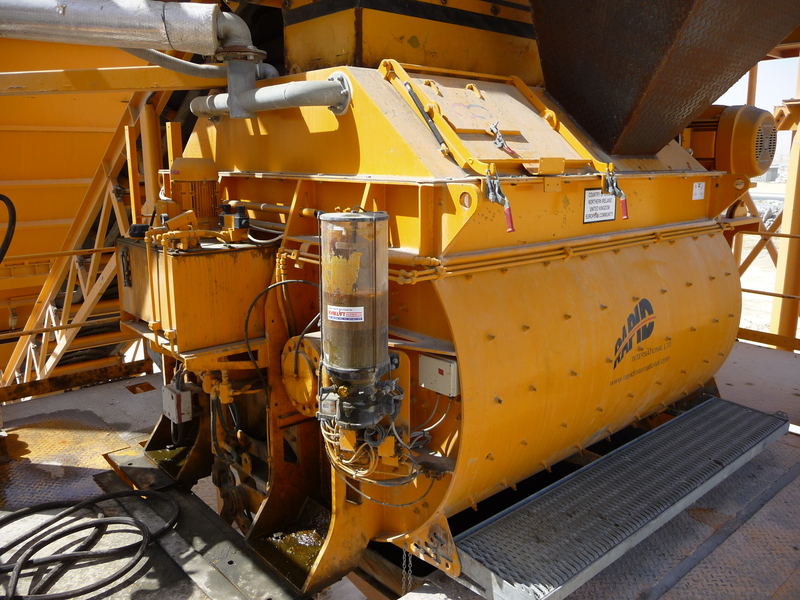 Accompanying the existing continuous mixing plants, the Rapidmix 400C and 600C, Rapid has expanded the mobile range with a series of batching plants, the Rapidbatch 70 and 120. This range offers batch production of ready mixed concrete combined with full mobility and cost effectiveness for the client. Production rates of 55 to 160m3 per hour are available with these plants. Plants are completely self contained allowing them to be used for on-site mixing in remote areas, giving savings in time, money and carbon emissions. The Definitive Bauma 2019 Guide!